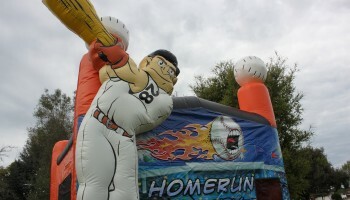 Every Little League opening day event needs to rent this Baseball Home Run Jump House. 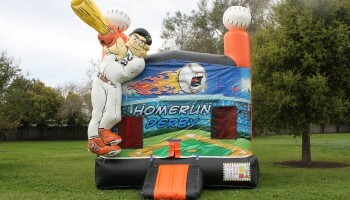 With this amazing artwork and three dimensional giant home run hitter this will be a hit at any baseball theme event. 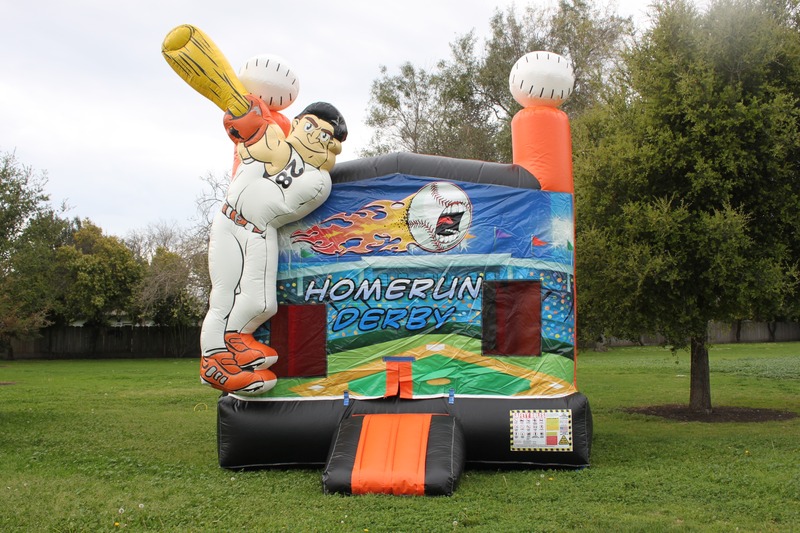 We made this Baseball Home Run Jump House in the favorite colors of our local Major League Team The San Francisco Giants. 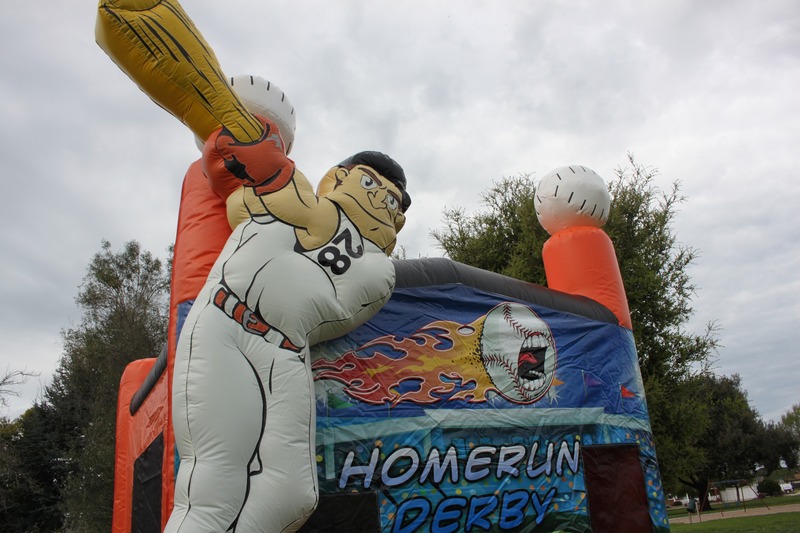 Included in this Baseball Home Run Jump House is a inside basketball hoop to keep the kids busy as they jump around in this amazing baseball theme bounce house. 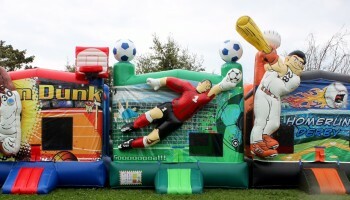 We have many great sports themed products available for rent form our ever growing inventory of inflatables and interactive games. 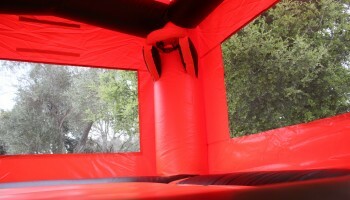 We rent all our sports themed inflatables and games to all of Northern California. Including the San Francisco Bay Area Cities of San Jose Palo Alto Santa Clara Sunnyvale Oakland Dublin Livermore and the Santa Cruz Monterey Salinas Valley. Give us a call at 1-888-630-3866 and let us help you create the ultimate sports themed package. GO GIANTS!!!! 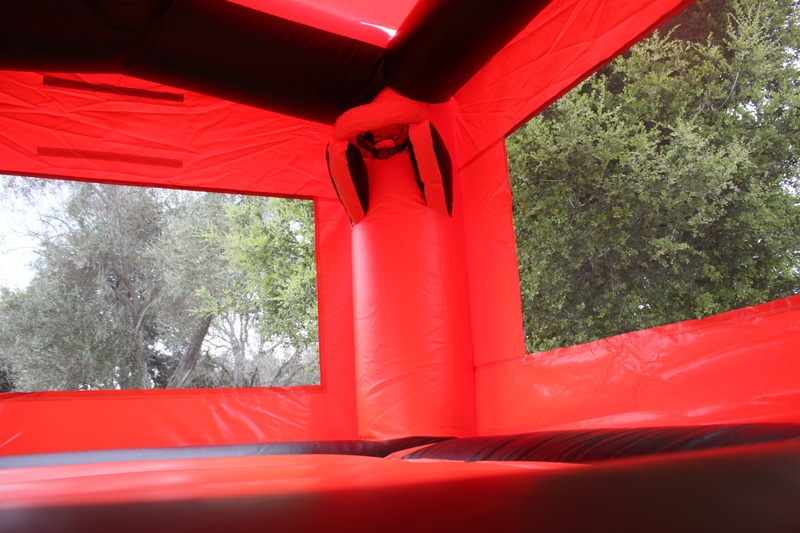 Price: Rental rate ranges from $99.00 to $149.00 Please call us at 888-630-3866 with your zip code and the location of your party (example: home or park). We can not do this Baseball Home Run Jump House in any dirt or rainy conditions.